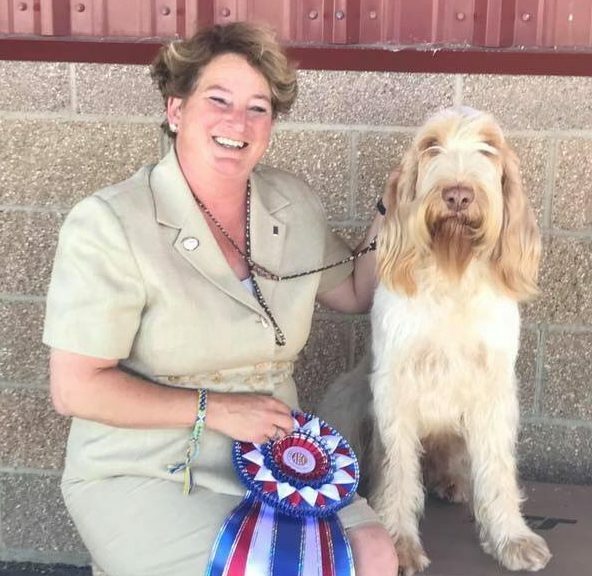 On the Road Less Traveled, Laura Reeves reminds us of takeaways from the dog show journeys themselves, and inherent dangers too. The annual road trip to National Specialties is a must for any serious breeder. At Pure Dog Talk we have covered this before. But beyond seeing each stud dog for generations, the continuing education for breeders, the treasure trove of mentors, and the reunions of crazy friends that all have your breed as a common bond, dog show journeys offer something else... the road less traveled. We all have stories, and most importantly, memories of our road trips. We laugh about being stuck in the middle of nowhere, so remote that we can imagine "banjo music". Good memories result from good outcomes. So being safe on the road, preparing properly for your travels, and being aware of personal safety is something that we care enough to ask you to do. This workplace sign goes for dog shows and road trips too! So please enjoy some stories from Laura Reeves in epsiode #113, and listen and take heed to the "near miss" that could have ended in tragedy.